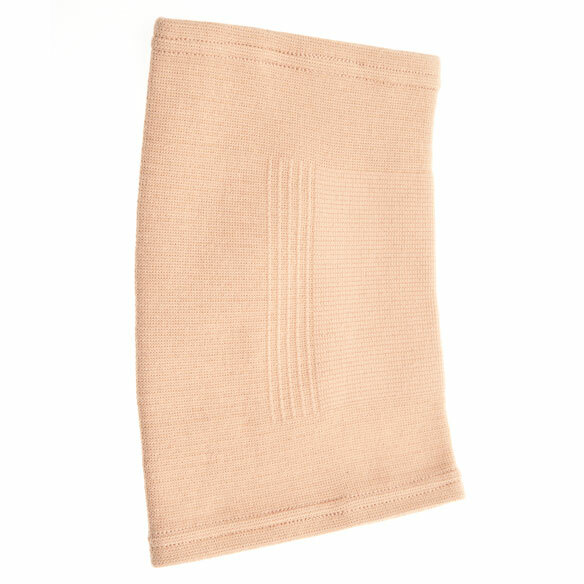 With an antimicrobial treatment to fight fungus and odor, this soft knit antibacterial nylon knee support stays in place securely while allowing a full range of movement. Easy-to-position Knee Support stabilizes painful, weakened knees, offering full mobility and all-day comfort. Fits either knee. 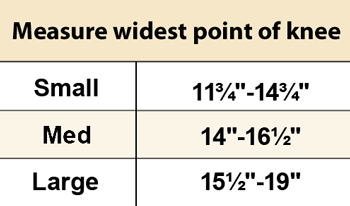 Stay-in-place support firmly embraces without slipping or rolling for easy, hassle-free wear. Specify size: Small, Medium or Large. 65% polyester/10% nylon/25% rubber. Hand wash; antibacterial treatment lasts 20-25 washes. I keep them on all day, push them down while resting. Note: these do not come in pairs. Great support for my knee injury. Decreases inflammation and swelling. THESE KNEE SUPPORTS ARE GREAT. I HAVE PURCHASED THESE BEFORE. ec fresh nylon knee suport is great. i purchased two. helps support my right knee when I need it. I use everyday as I am still working. Easy to put on Easy to care for. Purchased to help support knee while mending from a fall. Easy to wear, washable, flexible. This worked very well on my arthritic knee. I think I need to order a size larger, though. My fault, I just didn't order the right size, and it's a little TOO tight. Still gives me a lot of relief. I'm hoping this will help my sore knee feel better. I have knee problem, it might help. Thought I would try a lighter support at lower price. Works amazing and my knee feels so much more supported. wife will try this . I need bigger knee braces and these are on sale. While walking for exercise or shopping, my knee sometimes hurts. 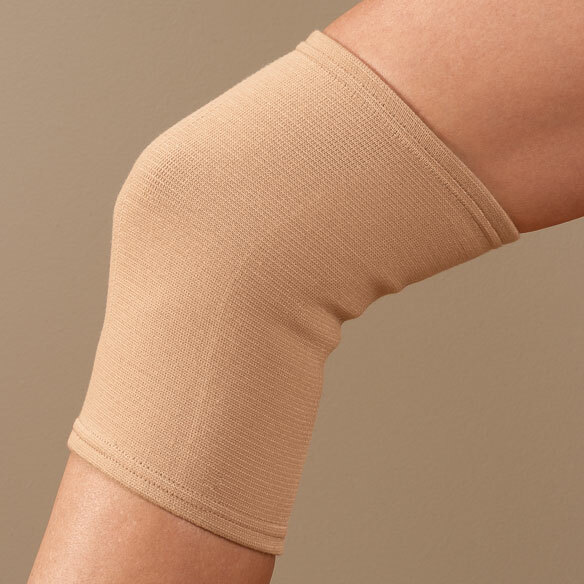 I need something to support my knee. I like to have one to wear one to wash. I have hip displacia and my knee is always hurting without support. I'm getting it for my sister, to see if it really works on her knee operation, she had few years back. How do you know what size is? Do these knee supports contain latex? BEST ANSWER: Thank you for your question. They are 65% polyester/10% nylon/25% rubber so they do contain rubber but not latex. We hope this information will be of help to you.